To enter Turkmenistan all leisure travelers are required to have a transit or tourist visa. The tourist visas are delivered on the basis of an approved visa support letter, also referred to as a Letter of Invitation (LOI). The LOI requires usually 6-11 working days to process. Once the LOI is has been issued/approved, you get a scanned copy of it to you by email. With an approved LOI you can apply for your visa at a Turkmen embassy or consulate abroad, or obtain it directly at the Turkmen land border at Gaudan (Bajgiran/Mashhad, Iran), Farab (Bukhara, Uzbekistan), Shavat (Khiva, Uzbekistan), Khojeyli (Nukus, Uzbekistan); at Bekdash (Aktau, Kazakhstan), or at the international airport in Ashgabat upon arrival. Visa are not issued at the land borders of Serakhs (Iran), Serhetabat (Afghanistan) and Turkmenbashi (the Caspian Sea Port). 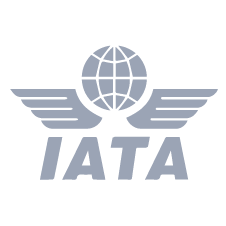 Next to the LOI, an Entry Travel Pass and country registration is automatically required. Pls. check with your agency in Turkmenistan if they can issue the document for you. As the LOI documentation is submitted in advance of your arrival we need this information preferably 8 weeks, but at least 4 weeks prior to your arrival date in Turkmenistan. This extended period allows time to complete your itinerary and site visits, and to determine your type of transport and accommodation en route. If we do not have this information by this time we will not be able to supply you with the LOI for your visa. You do not need to wait at home for the mail to arrive with your LOI; you will get a scanned copy to your email address, so all you need is a place with access to Internet and a printer, in order to arrive at the Turkmen border with a printed LOI copy. 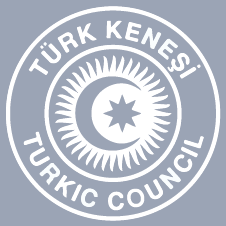 Turkmen Embassies can be found in Armenia, Afghanistan, Azerbaijan, Austria, Belgium, Belarus, Germany, France, China, India, Iran, Pakistan, Russia, Ukraine, Turkey, UK, USA, UAE, Uzbekistan, Tajikistan, Kyrgyzstan and Kazakhstan. Check the Internet for the most recent information, and contact the embassies prior to arriving there to collect your Turkmen visa, as there may be differences between various embassies in terms of visa cost and duration, and processing requirements and their duration.